Chris Zorich knows the narrative that surrounded his three-month coaching search. 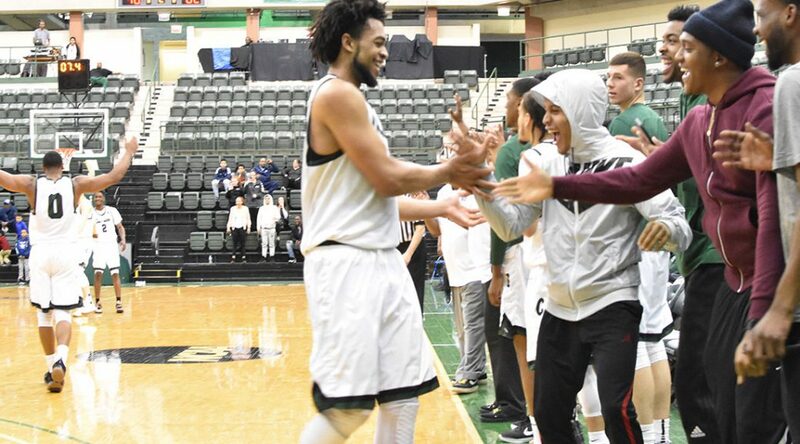 He heard the criticism of his long hiring process and Chicago State’s lack of a men’s and women’s head basketball coach during the entire spring and summer evaluation periods. The first seven words he spoke while standing behind a podium Wednesday acknowledged it. “This has been a long time coming,” Zorich said, grinning. And he doesn’t care one bit about the criticism, because he says he’s found his ideal coaches. Scott Frost should have been here three years ago. 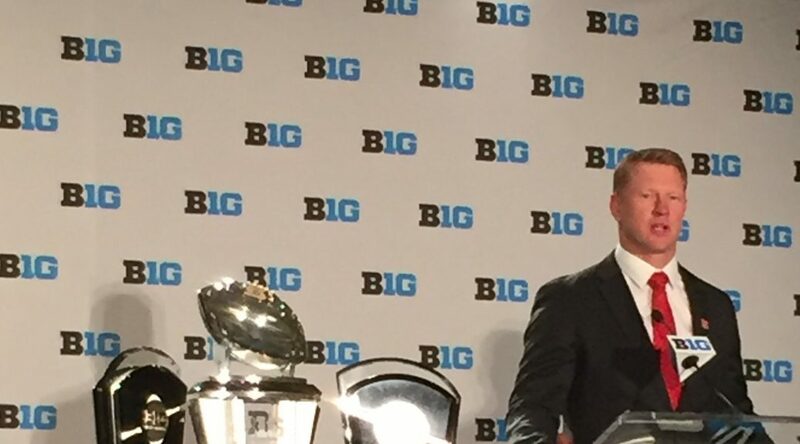 Something just seems right about him standing behind a podium with “B1G” stickered onto it, sporting a Nebraska lapel pin with a matching red tie and stating that his move to coach his alma mater was the right decision. Monday morning at the Marriott in downtown Chicago, it happened. Finally. And it was nothing like the Big Ten media days debut of his predecessor, Mike Riley. Nebraska hired the then-62-year-old Riley in 2015 instead of Frost, who was the offensive coordinator at Oregon at the time. Riley crooned through an answer about having “one more big adventure” left in him when asked why he took the Nebraska job after 12 years at Oregon State. It embodied his 16 minutes of uninspiring remarks that carried a sense of an inevitable middling tenure. Two white charter buses turned east on Loyola Avenue off Sheridan Road, with the blue lights of police cars leading the way, and pulled into a driveway in back of Gentile Arena. About 500 fans and students had congregated on an adjacent turf field in the previous hour, waiting for this very convoy. Around 4:15 p.m. on a mild but windy Sunday in Rogers Park, as “All I Do Is Win” fittingly blasted over temporary speakers, a momentary lull came over the crowd. Heads turned. Arms waved. Phones became cameras. Everyone cheered and clapped. The carriages carrying one of this year’s best Cinderella stories had arrived. Aundre Jackson will finally play in his hometown on Thursday in Dallas in the NCAA tournament. If Loyola head coach Porter Moser had his way, though, Jackson’s homecoming would have been much sooner. “We tried hard to get a game there, but we just couldn’t,” Moser said Sunday. Loyola’s only the latest team to face this bind. It’s the life of mid-majors once they prove they can play with high-major teams. Successful mid-majors are a lose-lose opponent for those power-conference teams – too much risk of a road loss, and not enough reward for a home win. The former can damage a résumé, and the latter isn’t enough of a résumé builder. This was N.C. State’s feeling when it bought out a scheduled road game at Loyola this season. MOLINE – Loyola players and coaches hung around the TaxSlayer Center after their game to watch the Missouri Valley’s award ceremony. They gazed from across the court and offered periodic golf claps as the league’s individual award winners climbed onto a makeshift stage to accept a plaque, certificate or trophy as recognition. A team made of mostly underclassmen looked on as veteran-laden Drake collected the loot from its merciless run to a second straight 18-0 conference season. Drake players took home seven honors, including the MVC’s player of the year. Barring an upset, the Bulldogs will collect another trophy – a conference tournament championship – and a spot in the NCAA tournament at the conclusion of the weekend. The floral bouquets were delivered, the tribute videos were finished and the 2-foot by 3-foot action pictures were framed. It was 12:45 p.m., which on March 3, 2018 at Gentile Arena, meant the time had come for a sendoff. Loyola’s seniors lined up with their families, paraded out to center court, embraced their coach, received bouquets and smiled for the cameras. Salmon was the last player called on Loyola’s Senior Day, with guard Jessica Cerda preceding her. They held their pictures and posed for photos at center court with Loyola’s third senior, guard Lee Williams. Salmon and Cerda, two guiding presences on a team with five freshmen and two sophomores, have combined for 46 starts this season. Saturday was their last one at home. Before an 0-2 weekend against two of the Missouri Valley’s top three teams, they had helped Loyola go 4-4 in the previous eight games. Their careers will end this weekend at the MVC tournament in Moline. The real story, though, is a confluence of two different needs for change that led to refreshed careers. Nearly every shot is met with a hand in the face. Passing lanes open for a fleeting moment. Screens are called out so everyone in the building can hear. Switches and double teams come fast, and deflections are frequent. 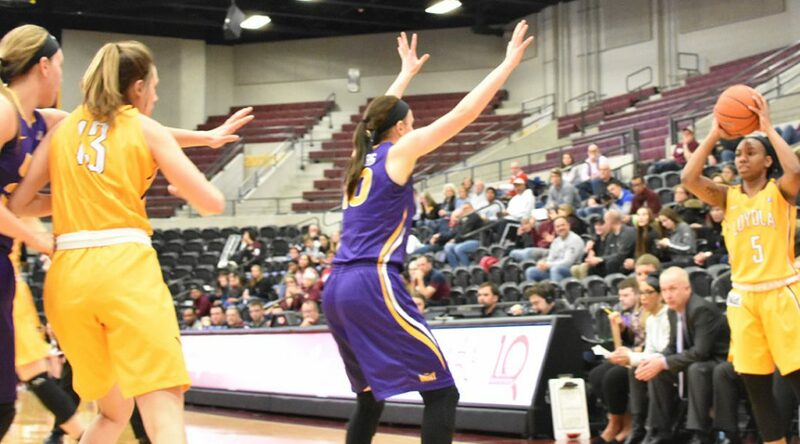 This is what it’s like to face Northern Iowa’s defense, often an immovable force with no obvious antidote. Loyola discovered as much Saturday afternoon. 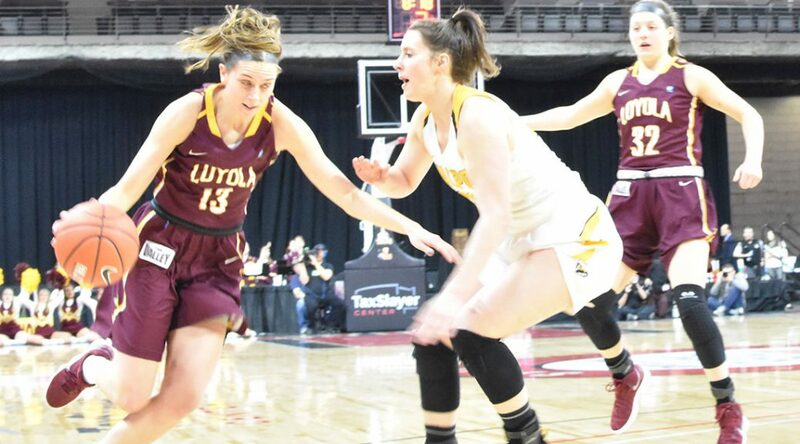 It’s why the Panthers are inside the top 40 nationally in scoring defense and enter next week’s Missouri Valley Conference tournament as the No. 3 seed. “They’re just hard-nosed,” Loyola coach Kate Achter said. Yes, it really is a ring honoring an appearance in the Collegeinsider.com Postseason Tournament, a pay-to-play tourney designed for mid-major programs. Dildy and Chicago State reached the CIT in 2013 by winning the Great West Conference tournament. It took two wins in March 2013 to earn a championship in a conference that no longer exists, and when it did, gave its winner a free bid to the CIT and not March Madness. It may seem trite, unnecessary, or just downright silly. Dildy, Chicago State’s eighth-year head coach, has his reasons.